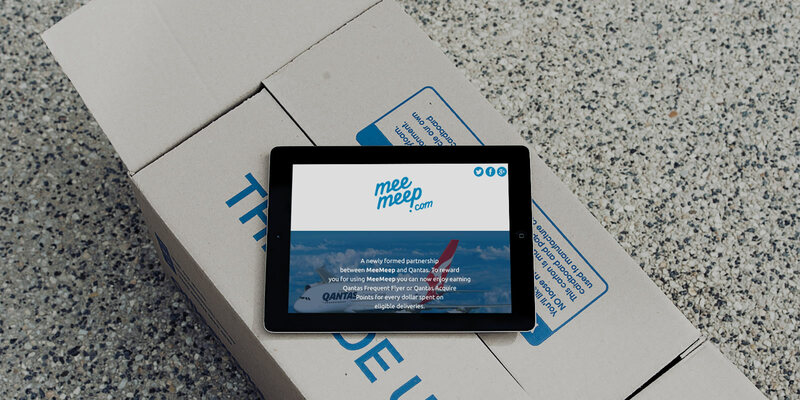 MeeMeep is a fast growing delivery company, which connects with people who need goods and packages moved with people on the move. 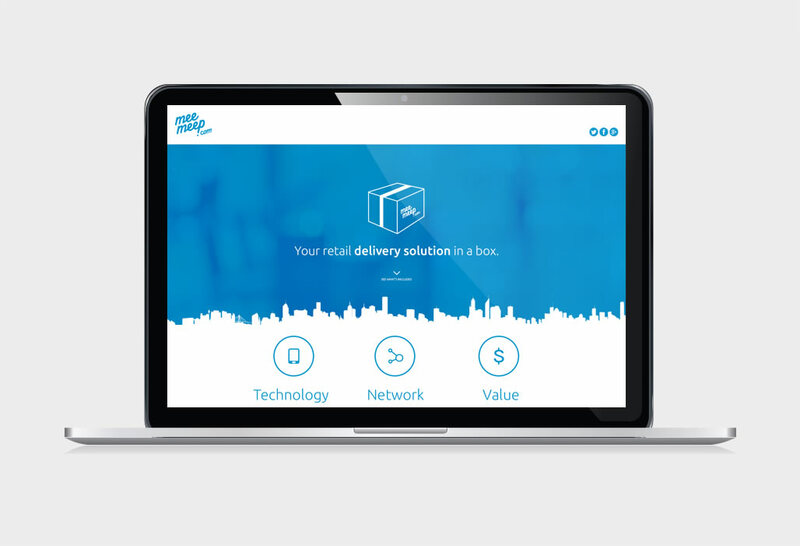 They are the preferred delivery company for some of the Australia’s largest online retail shops such as eBay and Grays online. 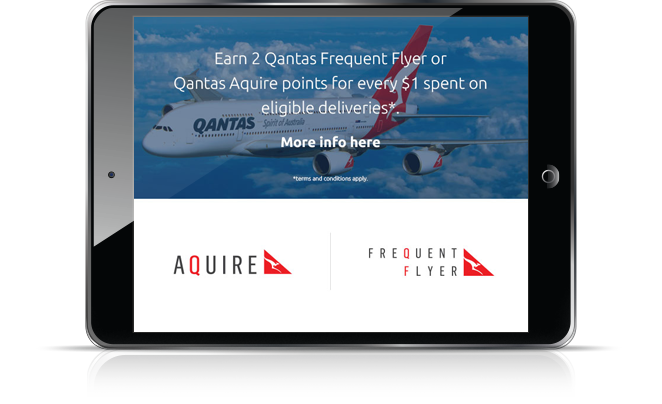 MeeMeep forged a newly formed partnership with the Qantas Frequent Flyer program allowing their customers to earn Qantas frequent flyer points for every dollar spent with MeeMeep. 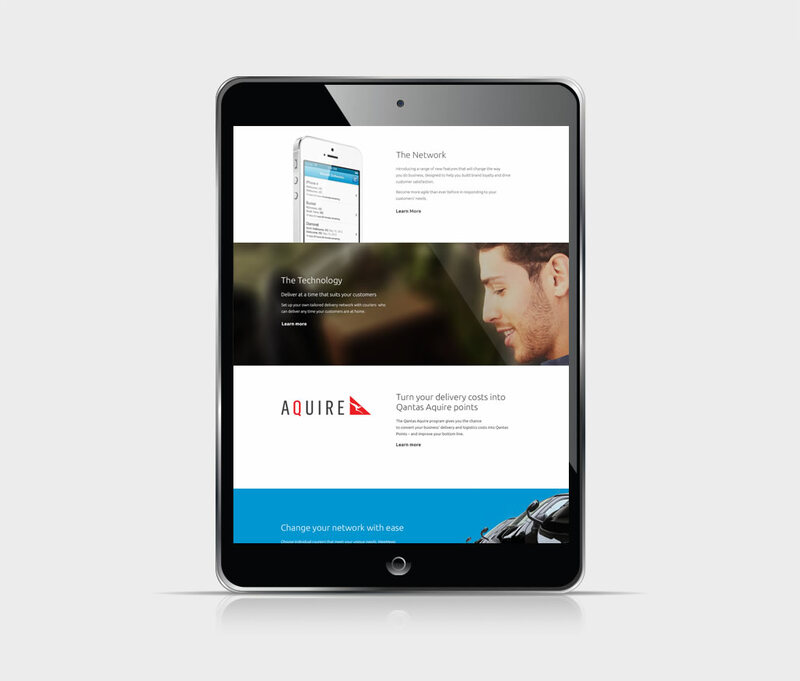 They engaged us to help create a user interface for their Qantas Frequent Flyer landing pages and Qantas email direct marketing campaigns. After being engaged to create user interface designs, MeeMeep’s expectations were exceeded. 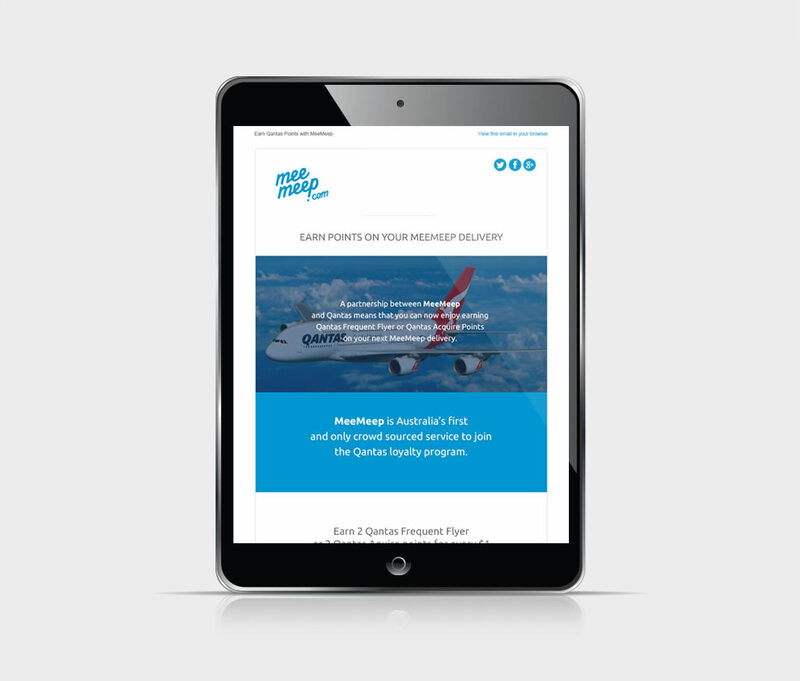 They then commissioned us to design a user interface and build several further email direct marketing campaigns for their Qantas promotions with highly successful results. We were engaged to create three user interface designs for the following landing pages; Qantas Frequent Flyer, Qantas Aquire and MeeMeep retail.